Darkness sweeps the troubled land, as Mana's power fades... People await a hero who will wield the sword... Excalibur, Herald, Gigas... The blade has had many names, for it has been celebrated in myths and legends throughout time... But all of these speak to just one weapon: The Sword of Mana. 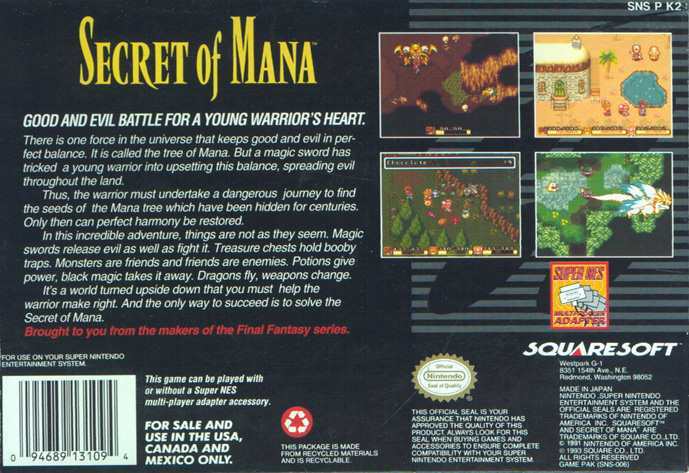 Welcome to the Secret of Mana section! Here you can find information about the game plus detailed guides covering several aspects of the game. 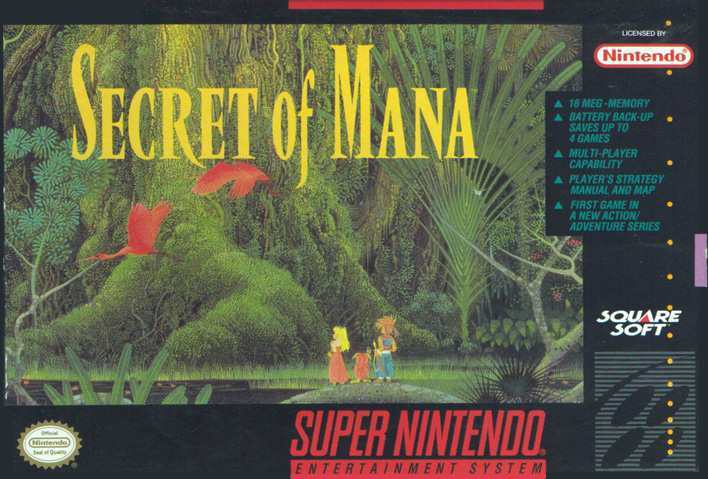 This Secret of Mana site was created by Mana Knight on the 10th July 1999.